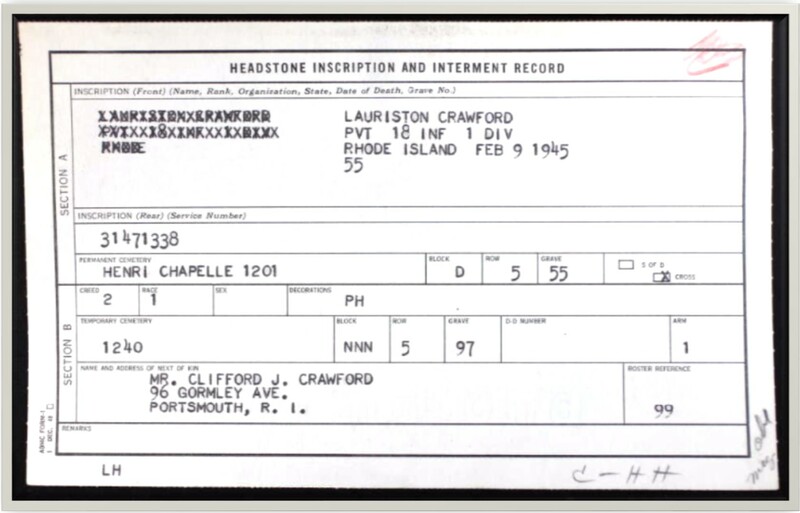 Private Crawford served in the 18th Infantry Regiment, 1st Infantry Division. 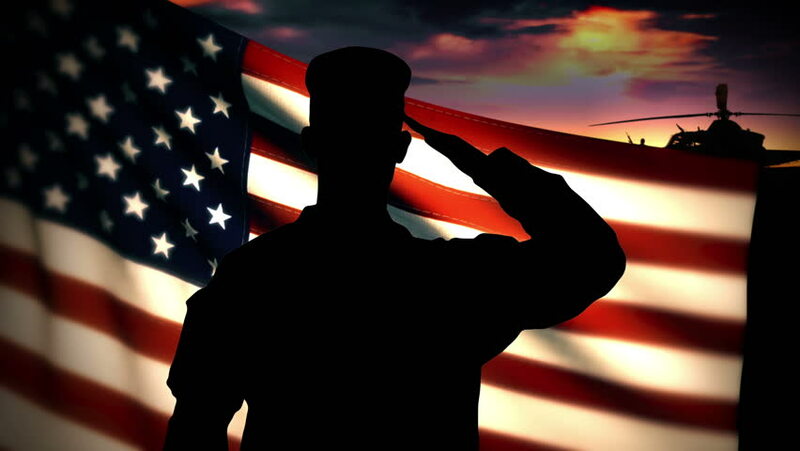 According to the U.S., Department of Veterans Affairs BIRLS Death File, 1850-2010, he enlisted on 21 Jun 1944 and died while serving in the US Army on 9 February 1945. This is also found in the WWII Honor List of Dead and Missing State of RI War Dept June 1946. 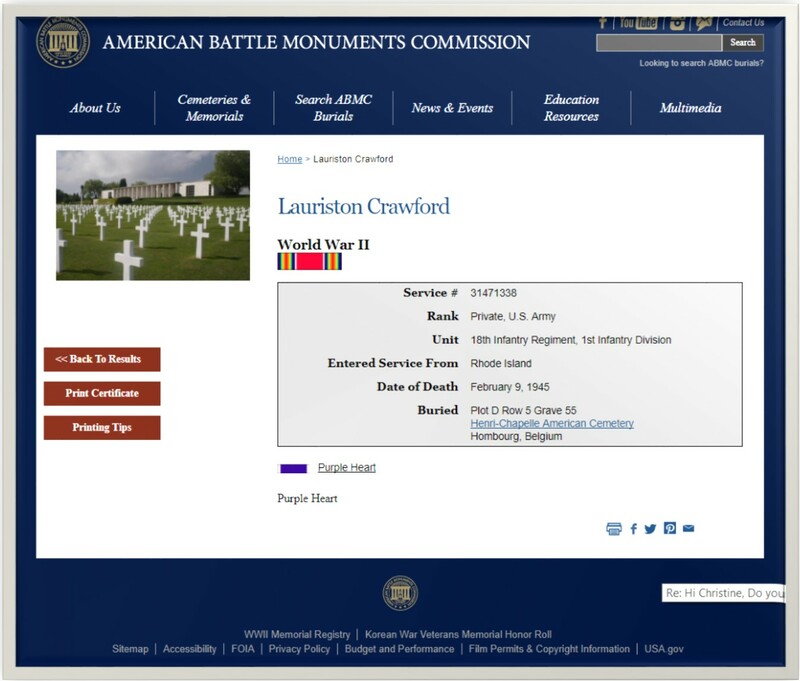 Private Crawford is buried in Henri-Chapelle, Belgium, Plot D Row 5 Grave 55. At the Henri-Chapelle American Cemetery and Memorial in Belgium, covering 57 acres, rest 7,992 of our military dead, most of whom lost their lives during the advance of the U.S. armed forces into Germany. Their headstones are arranged in gentle arcs sweeping across a broad green lawn that slopes gently downhill. A highway passes through the cemetery. West of the highway is an overlook that affords an excellent view of the rolling Belgian countryside, once a battlefield. The cemetery possesses great military historic significance as it holds fallen Americans of two major efforts, one covering the U.S. First Army’s drive in September 1944 through northern France, Belgium, Holland and Luxembourg into Germany, and the second covering the Battle of the Bulge. It was from the temporary cemetery at Henri-Chapelle that the first shipments of remains of American war dead were returned to the United States for permanent burial. The repatriation program began on July 27, 1947 at a special ceremony at the cemetery when the disinterment began. The first shipment of 5,600 American war dead from Henri-Chapelle left Antwerp, Belgium the first week of October 1947. An impressive ceremony was held, with over 30,000 Belgian citizens attending, along with representatives of the Belgium government and senior Americans.